The Perfect Fry Company PFC187 electric fryer is constructed of stainless steel, making the fryer durable and resistant to corrosion. 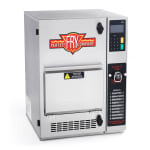 The controls are programmable for your convenience, and the fryer's design means you do not need to use a vent or hood. HEPA-style air filtration brings air in through the front grill over the vat of oil, then into the grease filter to get rid of large particulates of grease. The rest of the air filters through the air filter cartridge, and odors are erased with the active carbon. All the interior components can be removed and easily cleaned. 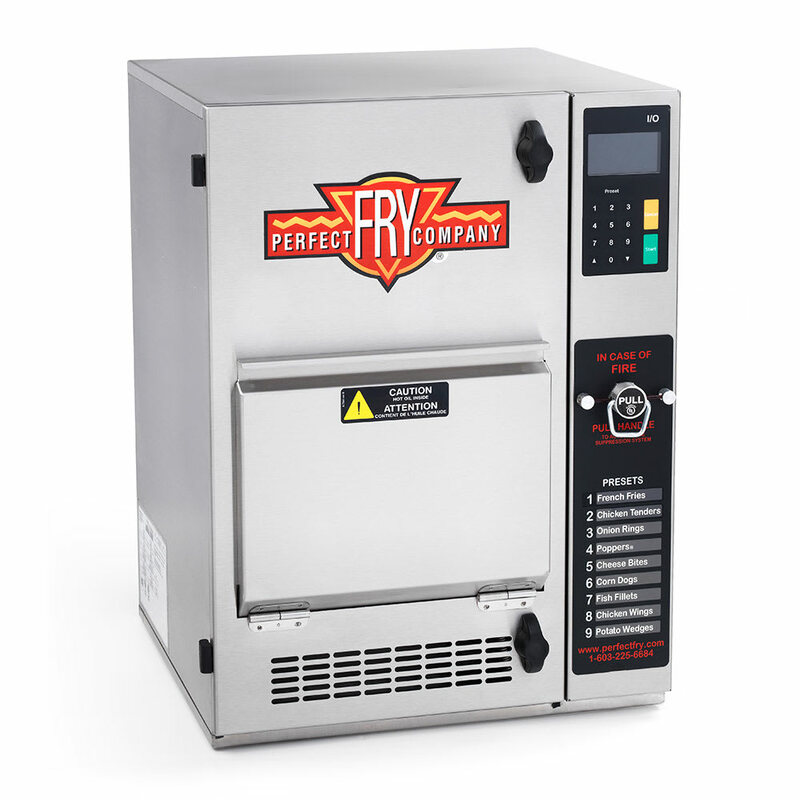 The Perfect Fry Company PFC187 electric fryer fry pot has an oil capacity of 2 gallons.